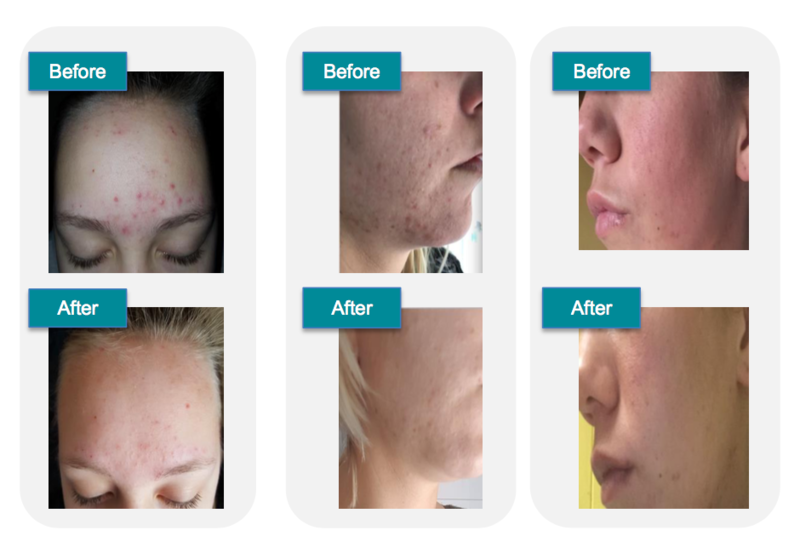 RESULT 1: ACNE-CAUSING BACTERIA SIGNIFICANTLY REDUCED IN 2 HOURS! Objective of Clinical Trial: Whether ZNIQUE Anti Acne Serum inhibits the growth of Propionibacterium Acnes (P.Acnes). Test Results: P.Acnes reduced significantly at 2 hour mark post application as compared to the control group. Conclusion: ZNIQUE Anti Acne Serum kills and inhibits the growth of P.Acnes. 1) Prevents acne formation with continuous usage of serum. 2) Mitigates acne formation, leaving more time to heal. RESULT 2: HIGH PATIENT SATISFACTION SCORE 9.45/10! Questionnaire results gathered from 20 participants who undertook the Dermatest Study. Photos were documented during the 4-week clinical trial. Please note that results vary for individuals.